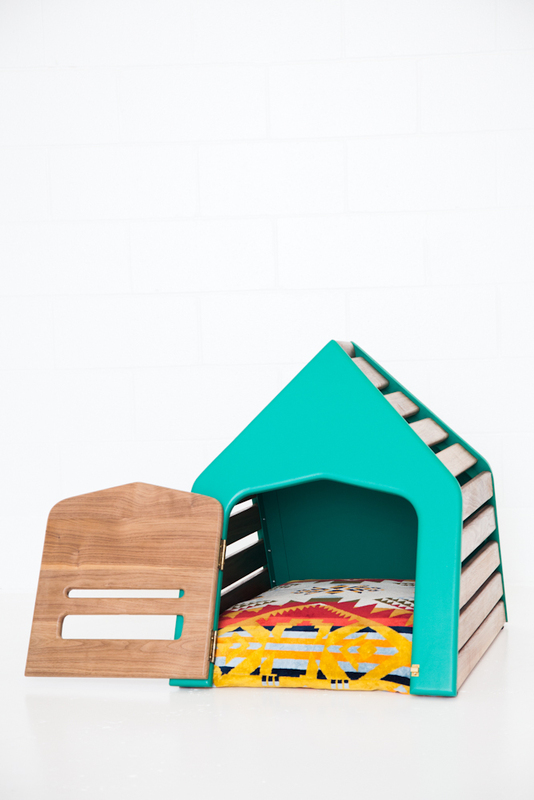 A collection of contemporary dog dens and accessories designed for the modern dog home. Using sustainably harvested north american hardwoods, vegetable-tanned leather and non-toxic natural finishes, GIMLI has earned accolades in notable design publications and clients in major cities around the globe. I am the lead product designer, and creative director responsible for all product design, manufacturing, and branding. At a luxury pricepoint, Gimli Dens have been shipped to clients from NYC to Hong Kong. Gimli Dens have been featured in publication such as Nylon, Vogue, Design Milk/Dog Milk, Modern Dog, Western Living, Gray, Design Sponge, Vancouver Sun, Toronto Star, countless social media and blog features and a page in “Pet-Techture”, published by Phaidon. Embodying a classic style with sophisticated minimalism and natural materials, the Gimli Traveller is both a carrier and den. An aluminum mesh facade is encased in sustainably-harvested North American hardwood, while solid brass and leather details make each handcrafted den a unique statement object, both at home or on the road. The perfect hideaway for any dog, the original Gimli Den is a take on a classic form, and features an optional solid walnut locking door, making it ideal for puppy training. Crafted from solid, sustainably harvested walnut with brass detailing, our Gimli Dog Dens are made for your dog with your style in mind.